MONTREAL, QUEBEC--(Marketwired - Nov. 29, 2016) - HPQ Silicon Resources Inc. ("HPQ") (TSX VENTURE:HPQ)(FRANKFURT:UGE)(OTC PINK:URAGD) is pleased to inform its shareholders that PyroGenesis Canada Inc ("PyroGenesis") has just submitted a new stage report(1) pertaining to High Purity Silicon Metal test results recently produced using the first generation setup of the lab-scale PUREVAP™ QRR, combined with the addition of a purifying agent. Multiple analyses of the material produced during test 19 were completed at the « Centre de Caractérisation Microscopique des Matériaux » (CM2), located at the École Polytechnique de Montréal using a Scanning Electron Microscope (SEM) associated with a Wavelength-Dispersive Spectroscopy (WDS). The results from test 19 confirm production of 4N+ purity Silicon Metal (99.99+% Si). At this stage, the final purity level of the material in less than 100-ppm range (parts per million) has not been determined. Since this test was the last prior to the upgrades of the lab-scale PUREVAP™ QRR, these positive results will be incorporated into the plans for all-future testing in which samples will be routinely analyzed to much lower detection limits. R&D lab testing is still ongoing and the project is on schedule for completion in January 2017. "We have officially reached the 4N Milestone, and the technical team now can focus on the improvements to follow up the achievement of the 4N+ high grade silicon core. The PUREVAP™ QRR results once again exceeded our expectations at this early stage of development testing. The presence of a high grade core of material and the evidence of zonation in which impurities are forced to the outside is exactly what we were working toward, and this result has come earlier than expected. In addition, production of 99.99+% Si using 98.14% SiO2 feed speaks volumes about the economic opportunities that the PUREVAP™ QRR represents for HPQ-Silicon and its numerous high grade quartz deposits, in our objective of becoming vertically integrated" said Bernard Tourillon, Chairman and CEO of HPQ-Silicon. "Furthermore, testing and process improvements are being made on a continual basis, as our goal of making Solar Grade Silicon gets closer to becoming a reality." More importantly, the analytical data points to directional crystallization of a core of higher purity silicon metal, as well as, zonation of the impurities as observed in other purification processes. This apparent zonation indicates that the PUREVAP™ process has now achieved a physical segregation of residual impurities at lab-scale stage. The groundbreaking importance of this is the initial production of a higher purity core section of the silicon material, which is where the targeted 6N silicon would be expected to accumulate in the future. This core of high purity silicon material would then be extracted and sold as solar grade silicon. The less pure portions, where the impurities have migrated, would then be separated and sold as high value Silicon Metal by-products. The WDS analytical method provides quantitative analyses of precise spots with a detection threshold of approximately 0.01%, or 100 ppm (weight basis). The results confirm impurity levels to as low the detection limit of 0.01% (< 100 ppm) for almost all the major impurities. This positive result means that going forward material produced from ongoing test work, which will focus on improvements to the purification process and adaptation to the Pilot Plant development, will now be sent for detailed analysis and characterization of the impurities, in less than 100 parts per million (ppm) range, to fully evaluate the effectiveness of the PUREVAP™ QRR. "We are extremely pleased with the progress to date," said Pierre Carabin, CTO of PyroGenesis. "We have now reached the detection limits of two analysis methods and confirmed the ability of the process produce silicon metal of at least 99.99+% purity. This confirms that we are truly on to something unique." The feedstock for experiment #19 was 300 g of a mixture 2.5:1 weight basis of 2-4 mm Quartz lot #A16- 09153 from Ronceveaux and activated carbon #5566 provided by Asbury Carbon. The overall purity of the Quartz is evaluated at 98.14 %. The Quartz and the Carbon were both analyzed using a combination of ICP-AES and ICP-MS by third-party laboratories. The impurity concentrations of the mixtures are a weighted average of the ones of the reagents in respect to their mass ratio (2.5:1). 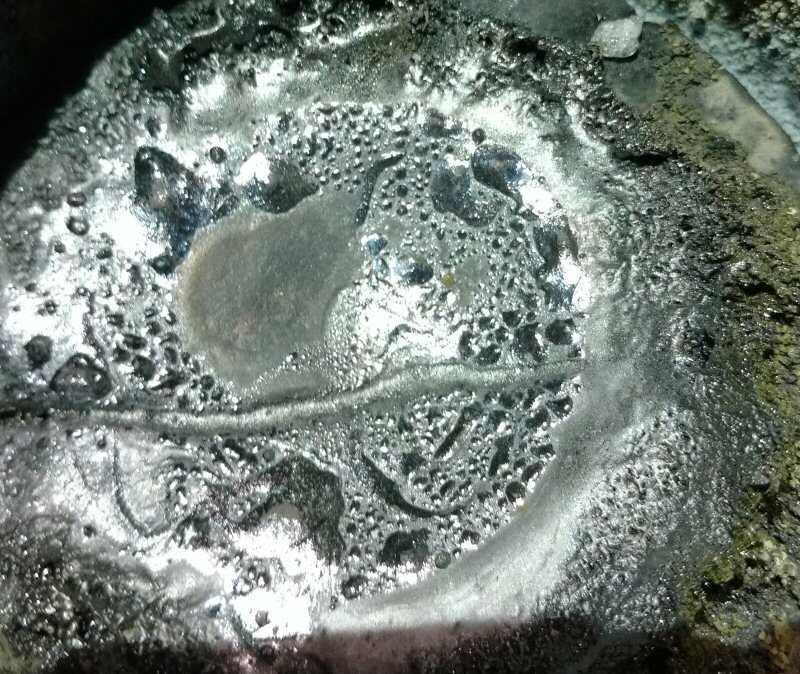 It can be noted that the impurity levels in the resulting mixture are relatively high, especially in iron, which is a difficult element to vaporize. As shown in Table 2 below, 4 of the 5 different locations analyzed on the sample were of a purity of 4N+ (99.99+ %) with a mean purity of 99.99 %. The main contaminants were Aluminum (Al) and Phosphorus (P) with 0.008 % and 0.002 % respectively in average. Interestingly, the concentrations were below the detection limits for all the other contaminants for all locations. "These results are significant as the prevailing proposition suggests that the quartz purity level required to make high purity silicon metal is over 99.5%(2)" said P. Peter Pascali, President and CEO of PyroGenesis. "The PUREVAP™ has proven that to no longer be the case. 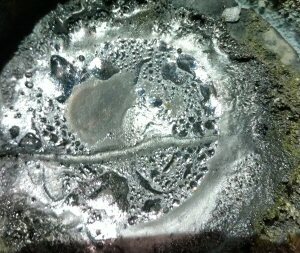 We have demonstrated that the process can produce high purity silicon metal from significantly lower purity quartz as feedstock. The implications of this are enormous when considering the potential commercial applications of the process. Conceivably, we can now take a cheap and abundant low purity quartz feedstock and transform it into a high value end product." During phase 1 - Proof of concept test, the produced silicon was only collected at the surface of the graphite electrode. Now, not only is silicon produced at the surface of the electrode, but is also accumulated at the bottom of the crucible. The R&D lab testing is still ongoing and the project is on schedule for a January 2017 completion. By the end of the Process Characterization phase, PyroGenesis expects to have conducted between 40 and 50 laboratory scale experiments. The data collected during the Process Characterization phase will be used for the Pilot Scale design, which is also currently underway. Scanning electron microscopy (SEM), Energy Dispersive X-ray Spectroscopy (EDS), and Wavelength-Dispersive X-Ray Spectroscopy (WDS) analysis were completed at the Centre de Caractérisation Microscopique des Matériaux (CM2), located at the École Polytechnique de Montréal. Pierre Carabin, Eng., M. Eng., has reviewed and approved the technical content of this press release. HPQ Silicon Resources Inc is a TSX-V listed junior exploration company planning to become a vertically integrated and diversified High Value Silicon Metal (99.9+% Si), and Solar Grade Silicon Metal (99.9999% Si) producer. Our business model is focused on developing a disruptive High Purity and Solar Grade Silicon Metal manufacturing process (patent pending) and becoming a vertically - integrated Solar Grade Silicon producer that can generate high yield returns and significant free cash flow within a relatively short time line. (1) PyroGenesis Technical Memo: TM-2016-765, Rev. 00, "Mass balance on impurities for test 19"
About this company HPQ Silicon Resources Inc.